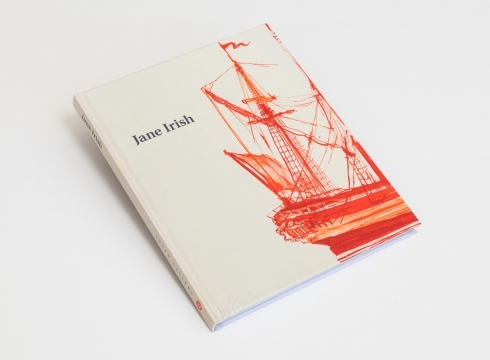 Locks Gallery is pleased to announce an installation of new works by Philadelphia artist Jane Irish. 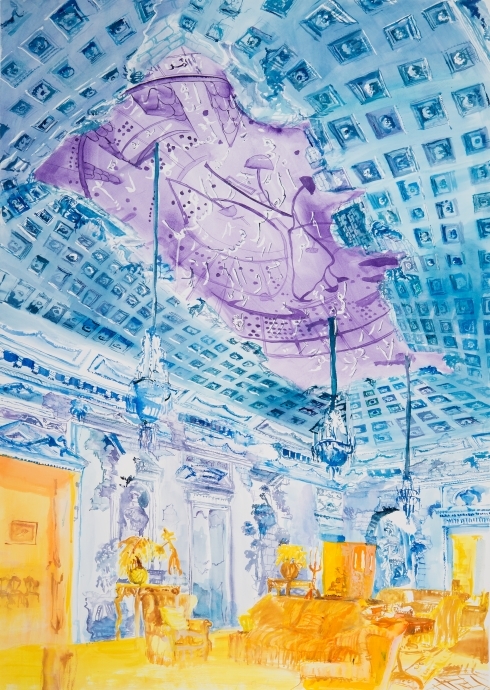 Architectures of Resistance debuts a series of large-scale canvases and works on paper depicting interior spaces in which vibrant ceiling murals bloom with imagery of Western colonialism alongside imagery of Vietnam War conflict and protest. 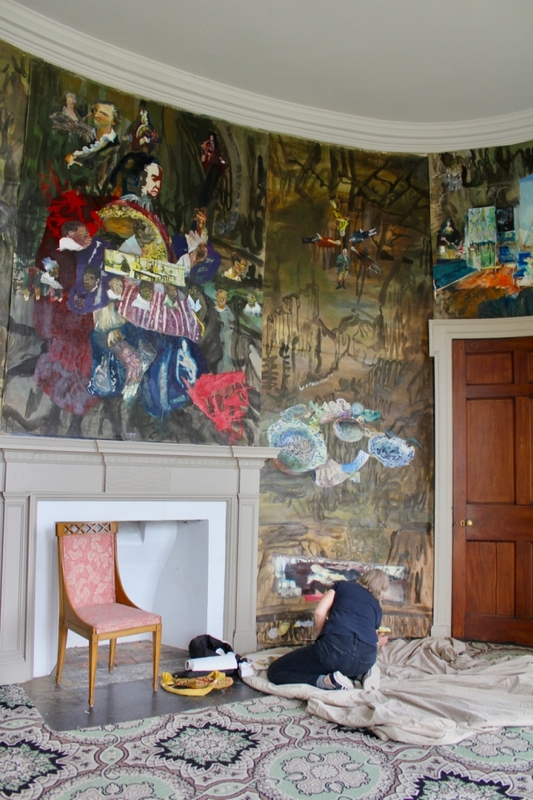 The exhibition will run concurrently with a major site-specific installation of paintings and ceramics inside Philadelphia’s historic Lemon Hill Mansion, organized by the Philadelphia Contemporary. 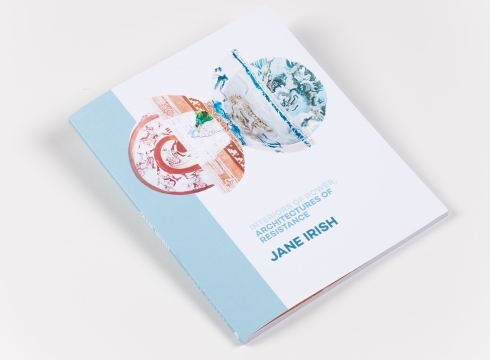 A new monograph Jane Irish: Architectures of Resistance will be published in May in conjunction with the two exhibitions. 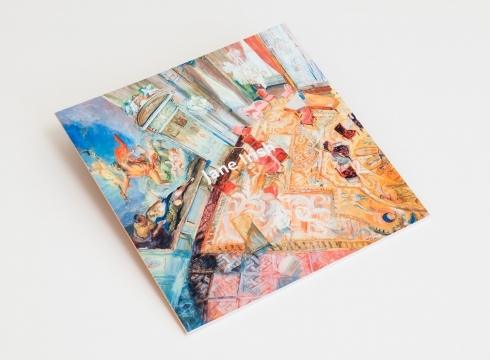 The 100-page, fully illustrated catalog features an interview with the artist and Nato Thompson, Artistic Director of Philadelphia Contemporary as well as an essay by scholar Glenn Adamson. 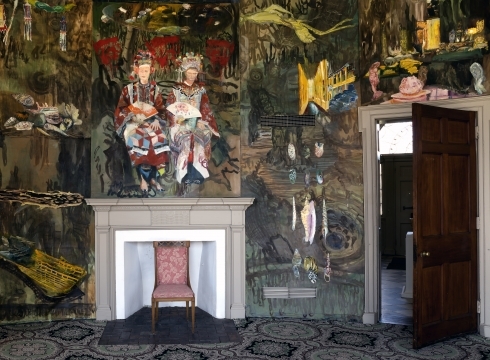 Jane Irish at Lemon Hill, Image courtesy of Philadelphia Contemporary by Emily Belshaw. 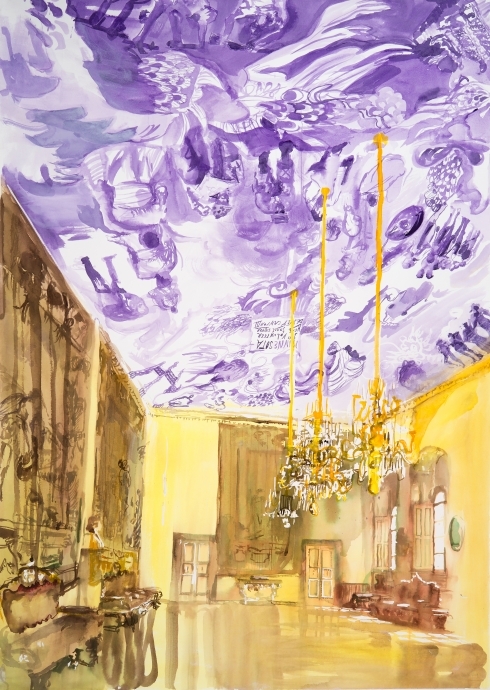 In an installation for Philadelphia Contemporary, artist Jane Irish will expand on her years of painted explorations of colonialism, opulence, the violence and futility of American conflicts overseas, and the anti-war activists who resist them. 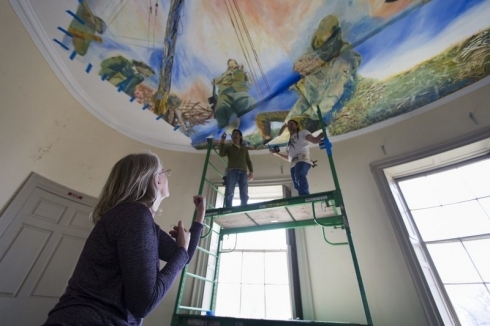 Working in partnership with Philadelphia Parks & Recreation, Fairmount Park Conservancy, and the Friends of Lemon Hill, Irish will transform the historic Lemon Hill mansion, filling it with a floor-to-ceiling installation of paintings and ceramics. 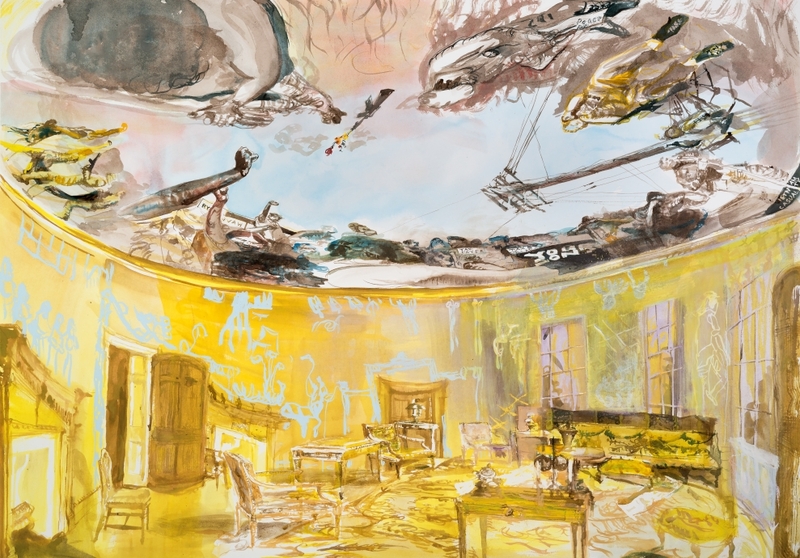 Irish envisions that the two floors of Lemon Hill will serve as antipodes—hemispheric opposites, each filled with her dialectical imagery of past and present, east and west, and war and peace. 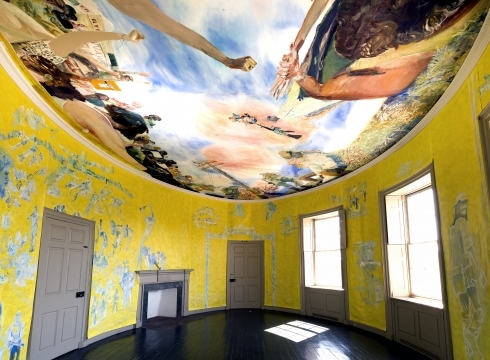 Its interiors coated with Irish’s swirls of painted vignettes, Lemon Hill will become a site where visitors consider how activists might serve as an antidote for past sins, and art’s ability to foresee the wildest scientific futures. 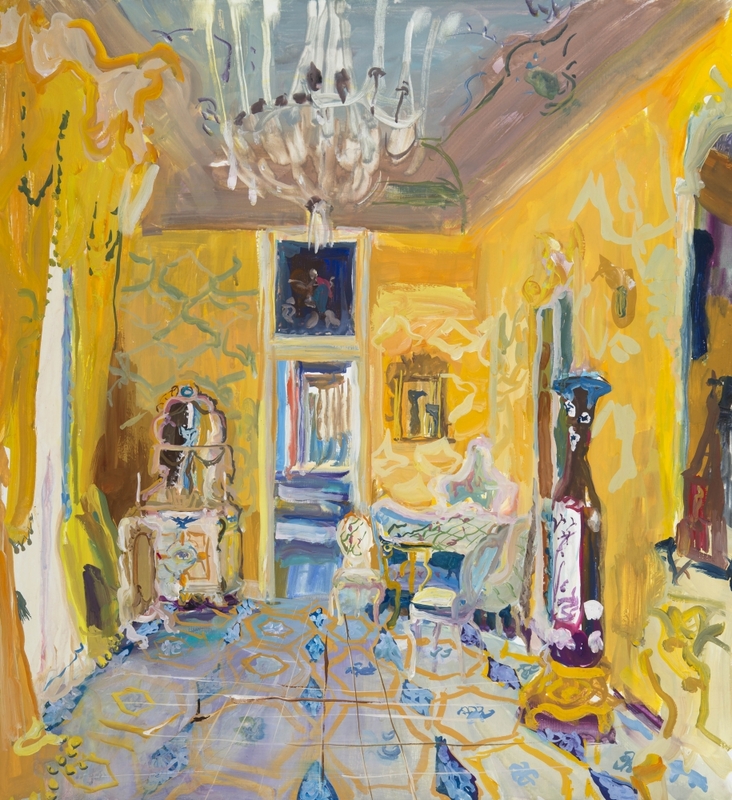 With the mansion’s ties to the colonial legacy of early American culture, the project provides a unique expansion of the artist’s studio practice and a rich counterpart to her work in the gallery. 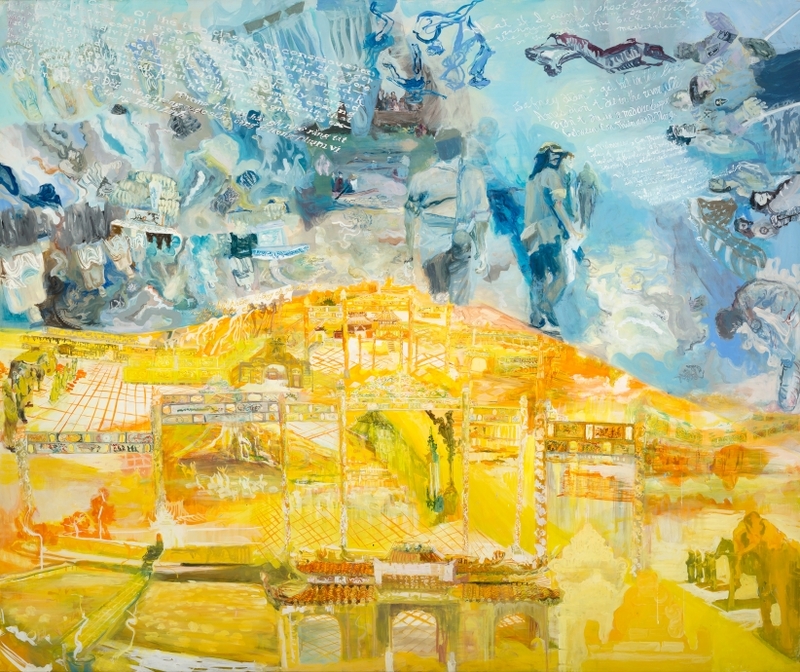 The symbolic thrust of her Lemon Hill project resonates in the new paintings shown in Architectures of Resistance with their open-ended iconography—a rebuttal to standard historical narratives. 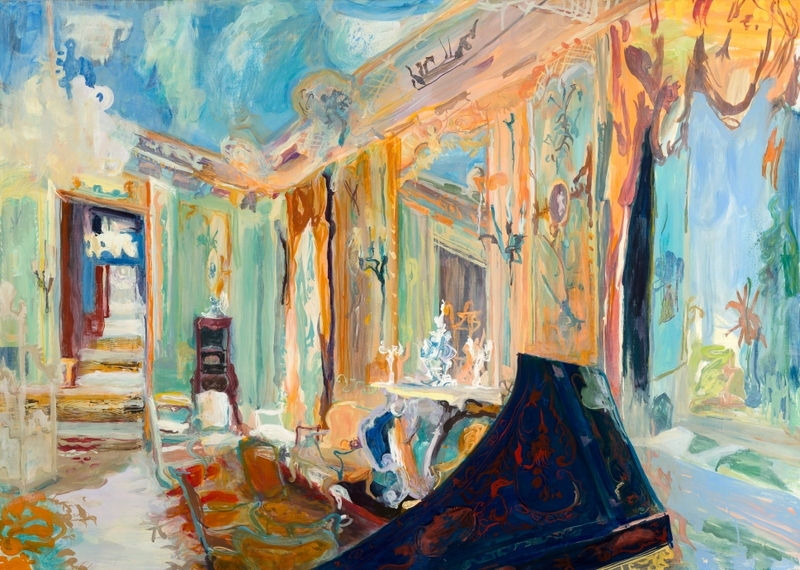 Irish’s paintings utilize architecture as embodiments of historical power structures, or as vessels that can accumulate and emulsify disparate moments in time. 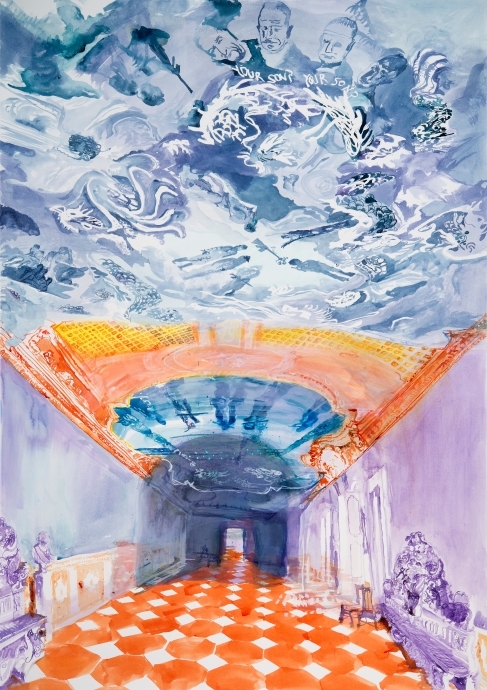 Her newest works emphasize the ceiling as pictorial space, drawing inspiration from Renaissance and Baroque murals that made ceilings into illusionistic, mythological zones. 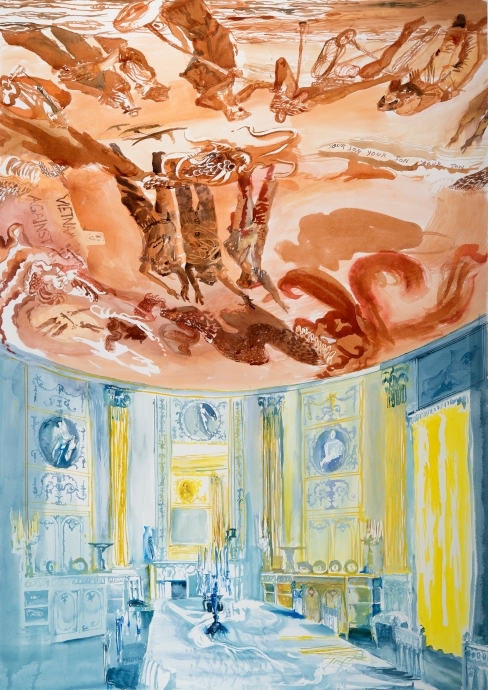 Here the ceilings overflow with a modern mythology of the War in Vietnam and opposing peace movements of the 1960s and ’70s, subjects that—as in much of the artist’s best-known work—speak to the enduring significance of the Vietnam era as a nexus of imperialism and resistance. 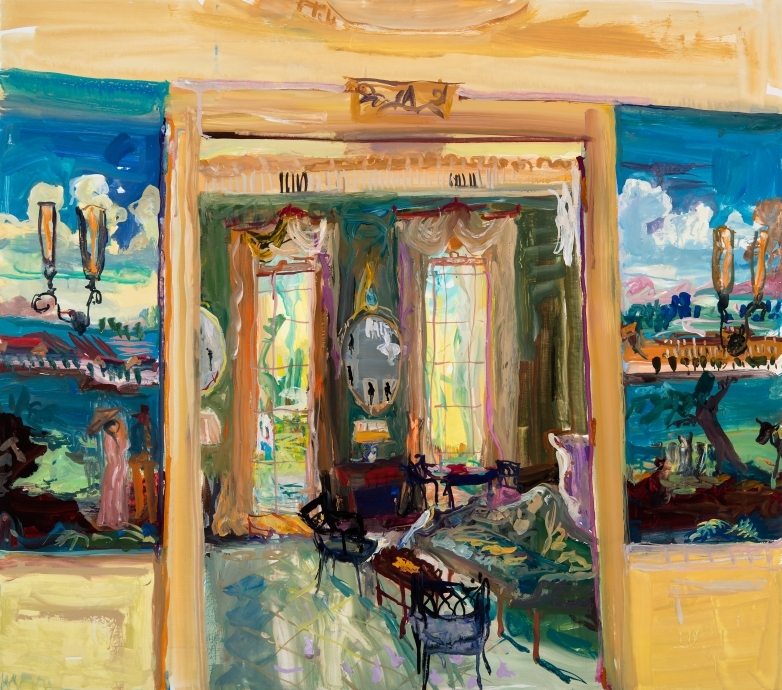 Irish’s most recent paintings have also been directly fueled by Edgar Allen Poe’s little-known prose poem Eureka, an “Essay on the Material and Spiritual Universe” written in 1848 that blends history, theology, and scientific theory. 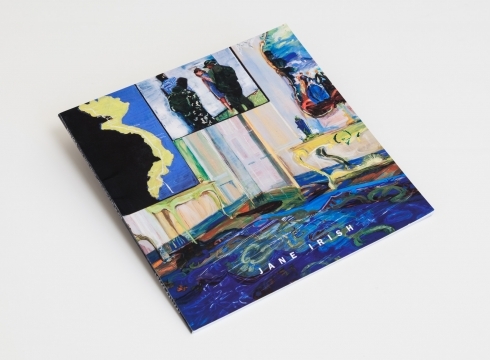 The totalizing cosmology of Poe’s visionary text proves foundational to the architectures of Irish’s newest paintings, in which interior, temporal, and geopolitical space are synthesized. 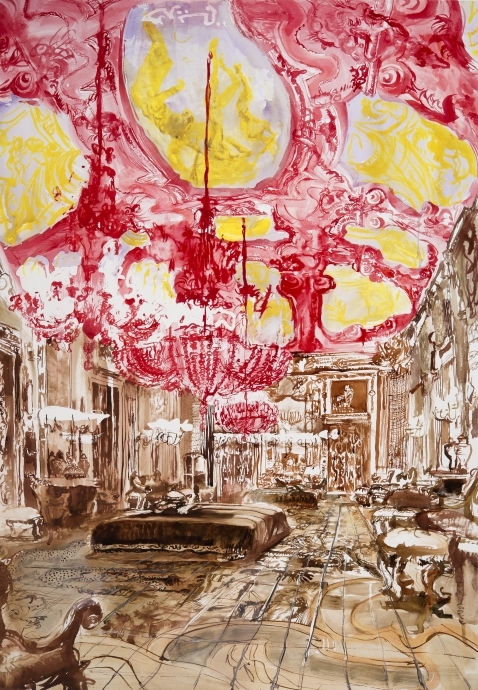 Works on paper juxtapose opulent Rococo and Neoclassical decorative styles with imagery of Vietnam War-era conflict and protest, striking contrasts that suggest causalities and continuities across history. 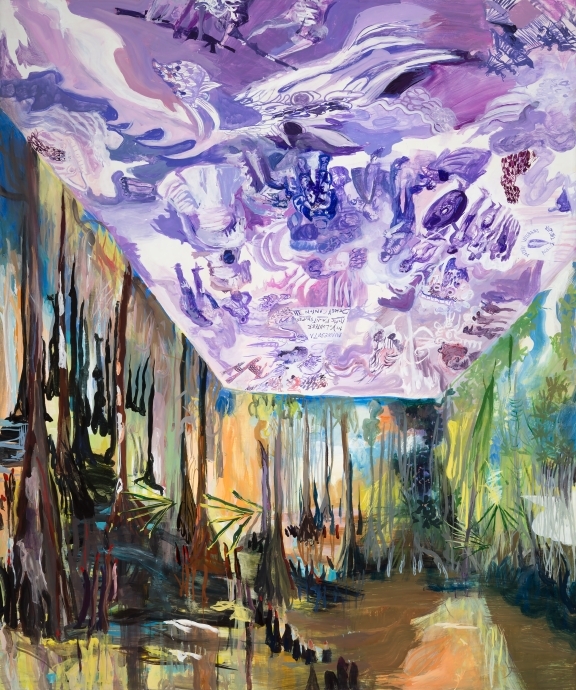 On the large canvases, Irish’s interiors are more abstracted than in her prior work, with one painting showing a ceiling-like plane floating over a richly colored swamp. 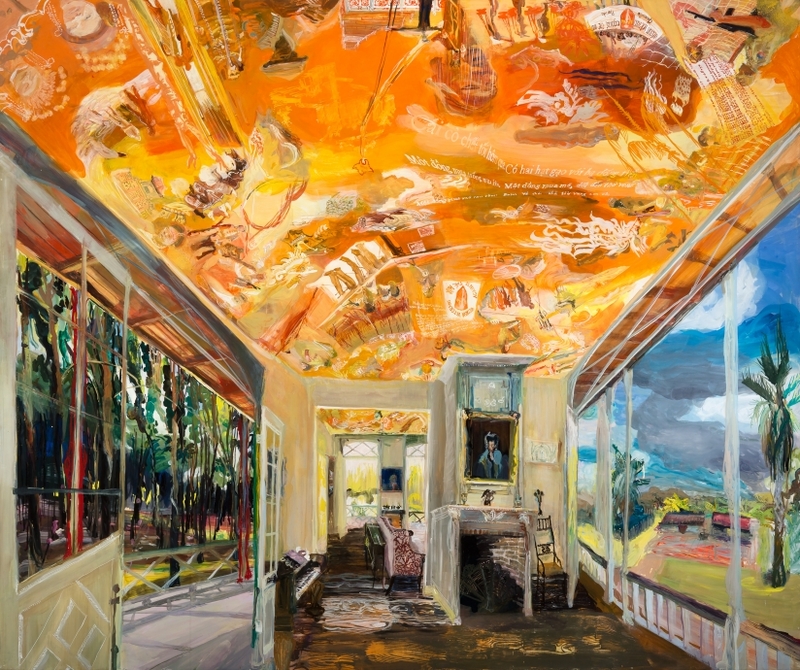 In another, a blazing orange ceiling spans a plantation room in which verandas open on either side to reveal surreally opposing landscapes—to the right, a Louisiana Mississippi River Road plantation, and to the left, a south Vietnamese rubber tree grove. In Beautiful Wreckage for E.A. Poe and W.D. 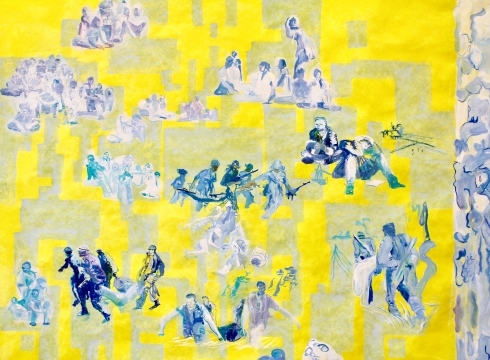 Ehrhart, the wall and ceiling framework disintegrates completely into a horizontal wave of blue above yellow, within which stunningly detailed vignettes of Vietnam proliferate, symbolizing the final passages of Poe’s Eureka. 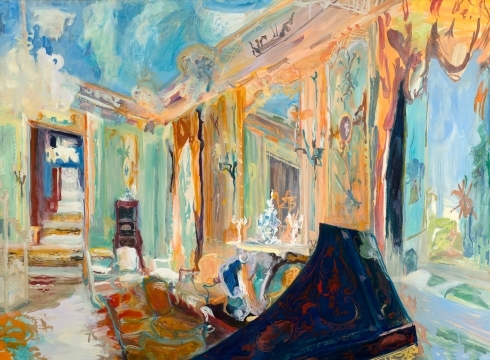 With their impressionistic blending of global time and space, Irish’s Architectures of Resistance constitute a unique form of history painting. Special thanks to the Joan Mitchell Foundation and Center.